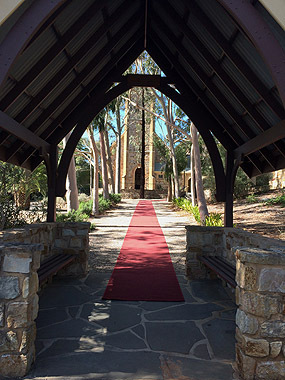 Our beautiful spacious grounds offer you the opportunity to literally “walk the red carpet” from the Lychgate at street level and up through the lemon scented gums to the door of one of Adelaide’s oldest churches. The building and environs provide the ideal backdrop for photographs and there is space for your guests to mingle on the terrace with a glass of champagne! A Wedding at St Michael’s combines the best of ancient traditions and modern experience as you celebrate the beginning of your Life’s Journey together. We look forward to offering encouragement and support as you prepare for this very special celebration. Please download the information booklet for more information or feel free to contact our priest Fr David Covington-Groth.